The brakes had always been a problem with Safari. Air would somehow get into the system, causing sponginess and the "BRAKE" warning light to come on. A bleeding would work for a week or so and then the situation would return. The front brake calipers were replaced July 2011, and they worked well until November. Between my sporadic back problems and general cold / raininess, there was a hibernation period through the winter. 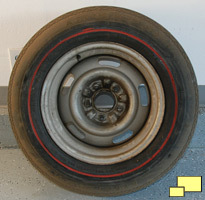 In March 2012 the rear brake calipers were replaced. The brakes were solid for about six weeks, during which Safari was almost my daily driver. But the problem reappeared in early May, so the master cylinder was replaced. All was good for around three weeks when the problem came up again. This time it was sporadic, a very strange situation. 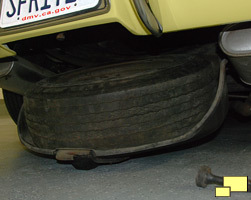 The brakes would sometimes exhibit sponginess and then would drag. Mechanic Mike Bradley diagnosed it as a defective master cylinder, which was replaced under warranty. So far it's been two months of great braking performance. 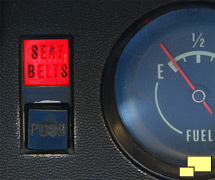 To the left of the fuel gauge there is a "SEAT BELT" warning light. It comes on every time the ignition goes from off to on and there is a reset button below it to extinguish it. This is the early days of government safety regulation which comes off as ludicrous years later. I've thought about removing the bulb which would relieve me of the tiresome task of resetting it every time I start it. I haven't done it and probably won't. 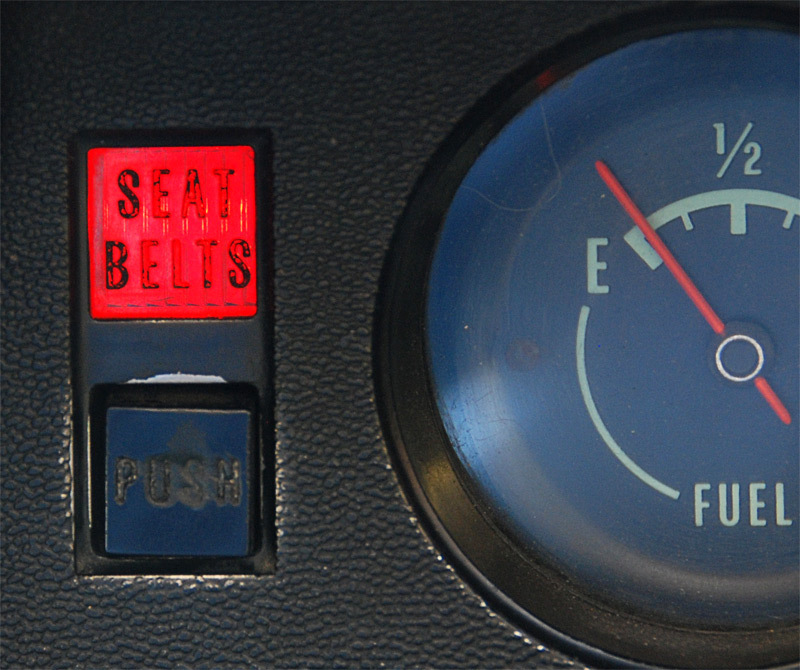 As much of a pain it is to hit the button all the time, without it I feel Safari would be less of a '68 vette, and we don't want that to happen! C2 and 1962 C1 Corvettes at the 2012 National Corvette Restorers Society (NCRS) convention in San Diego over the July 4, 2012 weekend. Had an amazing time with seminars and other activities. Since I had the odometer fixed I had kept track of all the fuel fillups using a program I developed for the iPhone and the news was not good. I was averaging only 11 mpg and I really did not often drive it hard. I understood that I didn't buy a Toyota Prius, but still, by all accounts I should have been doing better. I had the carburetor rebuilt at the end of February 2012 which improved things by about 1 mpg; when I went to San Diego - about 200 miles of freeway driving - I got around 12.8 mpg. All this time I had noticed that the speedometer seemed to be reading low. While driving with minimal traffic on the freeway at about the same speed as the other cars, the speedometer would read about 60 mph. It occurred to me that if the speedometer (and therefore the odometer) was low, my mpg reading might be similarly off. I then learned that there are speedometer and odometer applications for the iPhone. They work with the GPS that is part of every recent model iPhone. I downloaded Speedometer and Odometer, both free apps. I had the chance to try Speedometer in my 2009 Honda Civic with stock wheels / tires (changing the wheel / tire size will throw off your speedometer accuracy) and it was amazingly accurate. The only comment was that there was some lag in the reading, a understandable consequence of using the GPS methodology. I then tried the Speedometer app in the Corvette and was amazed to learn that while driving 70 mph, the speedometer indicated 58 mph! The Odometer app reported a similar result. A trip of 113.88 miles was only 94 miles according to the odometer on Safari. Some quick math revealed that adding 21% to either the speedometer or odometer reading would give me an accurate reading. This meant that instead of 12 mpg, I was actually getting around 14.5 mpg, about what I would expect from a small block equipped 1968 Corvette. BTW, I've updated the Show Me the Money page to indicate the true mpg. I am thinking about having the speedometer recalibrated. The problem there is to keep everything consistent, I would have to update the entries I have so far in the mpg tracking database. We'll see. While looking into the questionable mpg statistics, I decided to check the tire circumference as a change there from the stock tire might explain the problem. 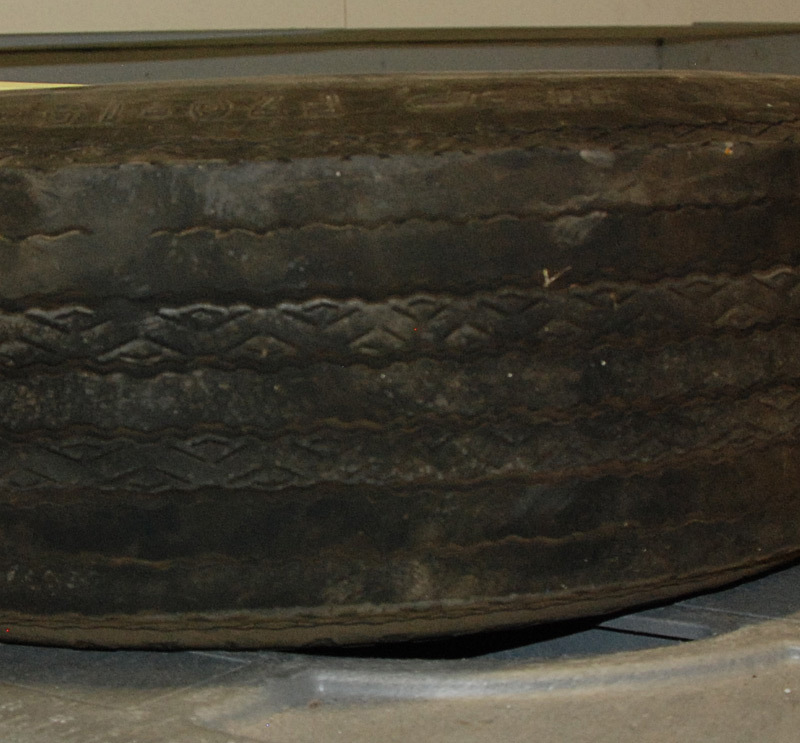 The modern radial tires that had been installed by the previous owner (ALKEN Sincera Touring, P215/70 R15) measured 84.375 inches. 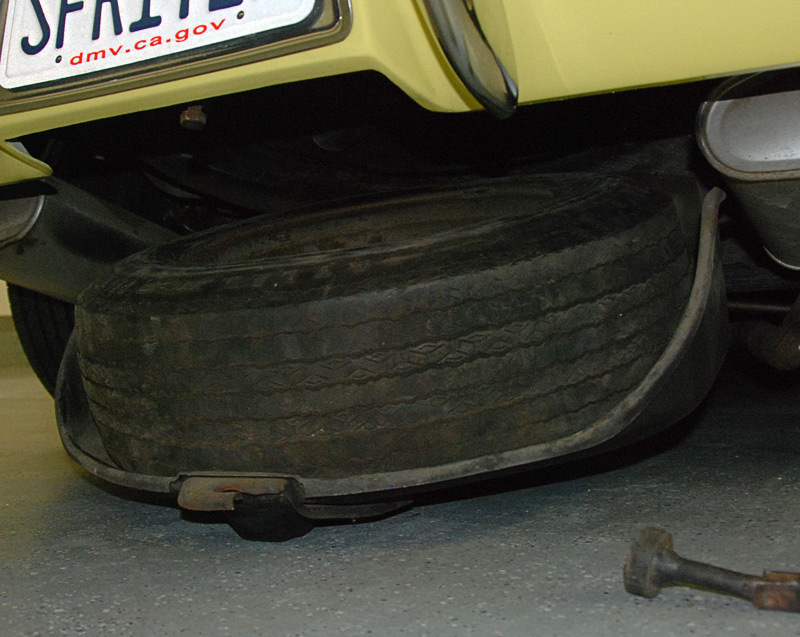 I then removed the spare, mostly out of curiosity as I had not checked it out in the year+ that I've owned the car. What I found (above photos) was most likely the original tire from 44 years ago! 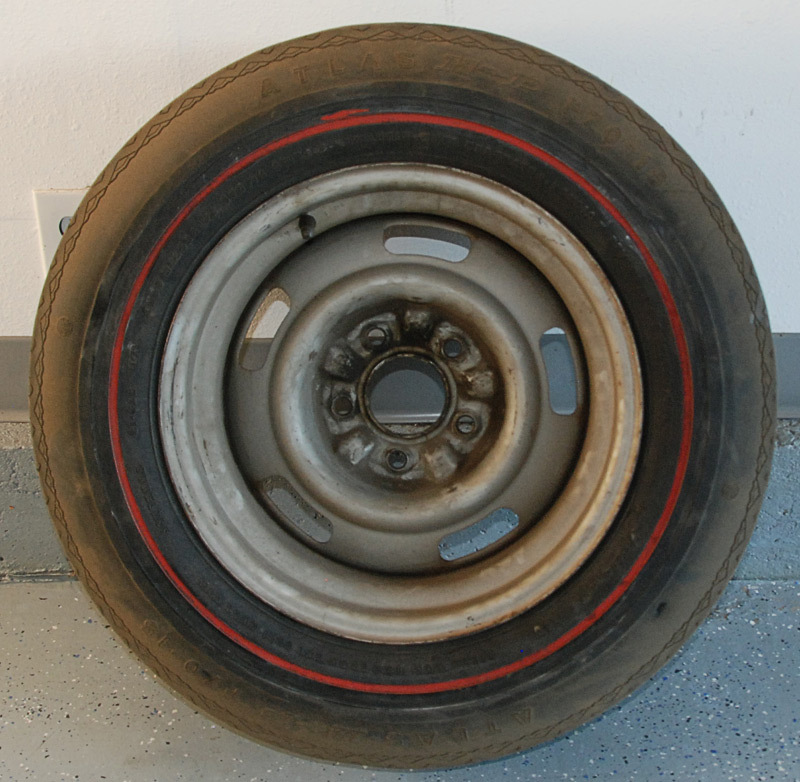 It had been used and was mostly worn out which really didn't matter since a tire that old is of no real use today. It was labeled "Atlas HP F70-15 - 4 PLIES 2 FIBERGLASS 2 VICRON" - just like the good old days. 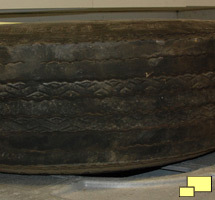 The circumference measured 83.25 inches, just over an inch less than the modern tire that I was currently using. Most of that difference can be explained by the lack of tread, so I couldn't put the speedometer / odometer error blame there.